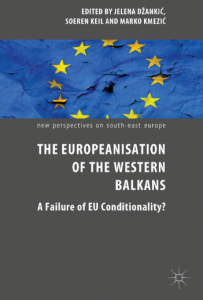 Palgrave Macmillan published a new book titled ‘The Europeanisation of the Western Balkans: A Failure of EU Conditionality?’ (editors: Jelena Dzankic, Soeren Keil and Marko Kmezić). 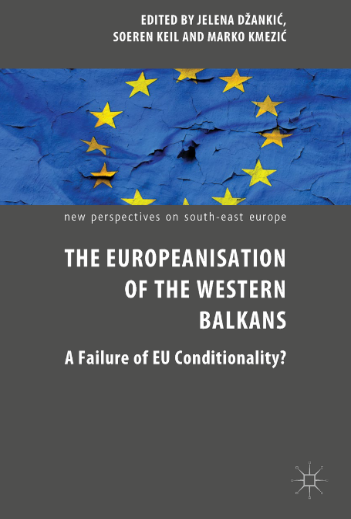 The volume casts a fresh look on how the political spaces of the Western Balkan states (Croatia, Bosnia and Herzegovina, Serbia, Montenegro, Kosovo, Macedonia, and Albania) are shaped, governed and transformed during the EU accession process. In the book, assoc. prof. dr. Ana Bojinović Fenko from Centre of International Relations and prof. dr. Bernhard Stahl from University in Passau discuss the European migrant crisis (2015–2016) and analyse the effects of Europeanisation on foreign policies of countries relevant for the so called ‘Balkan route’.